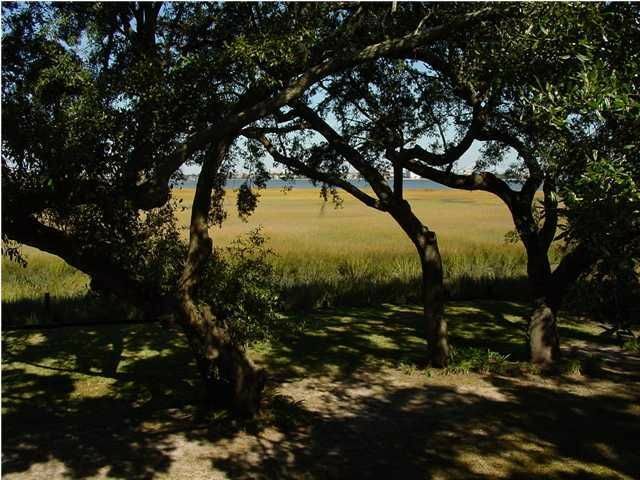 Contract 7/19 CTG on Sale of another house.This classic traditional floor plan sits on a large lot, packed with huge live oaks all overlooking spectacular marsh, harbor and downtown views. 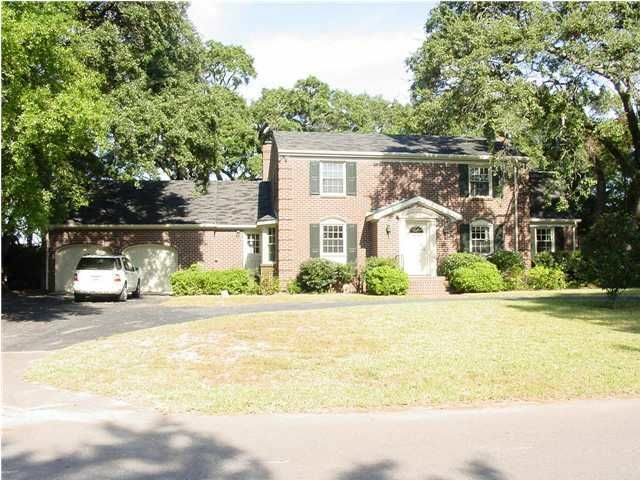 The home has a circular drive on a quiet cul-de-sac street. There is a tidal creek just 15 feet off the seawall that would be perfect for a fixed pier head for boating and fishing. It has direct access to the harbor. Dock permit in hand and approved! The marsh, harbor and Downtown views can be seen from many of the rooms; the family room, living room, eat-in kitchen and study have large windows to take advantage of these views. The master bedroom and the second bedroom also have great views. 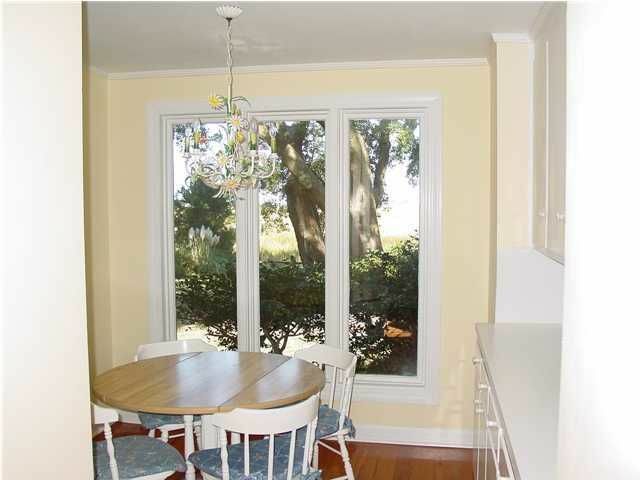 The dining room has old heart pine flooring for and a bay window for extra light. It also has dental mouilding as does the foyer and living room. Across the rear of the home is the family room with lots of windows and a real fireplace. Off of this room and the study open onto a large brick patio. The living room also has a real fireplace. The kitchen is dated, but with plenty of space to remodel to today's standards. 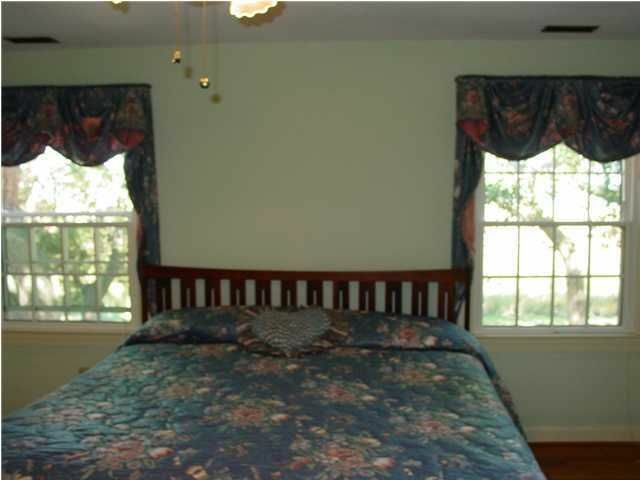 The master bedroom has two walk-in closets and a great harbor view. The other bedrooms are of good size with one of them having a study, playroom or bath off of it. The central heat and air is new and windows have been replaced with true divided thermopane windows. The house has a very functional floor plan with views that are outstanding. A great family home! Homeowners Insurance is $2015, Wind and Hail is $2588 and the flood insurance is $846/yr.